Scientists have recently proven that the world needs to cut down on two things: Zombie films and movies based on video games. Yet Hollywood doesn’t believe in science! 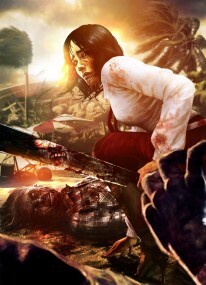 Hence the announcement of Lions Gate’s plans to make a movie based on the video game, Dead Island. I recently completed this game, and I loved it. It’s definitely worth checking out, but there was one big detail about the game that I hated: The Story. Seriously, the plot of Dead Island is utter crap. The characters are less than one note, and the conclusion at the prison is laughably formulaic. That’s all forgivable in a video game, if the game is fun to play, but in a MOVIE?! Ugh. 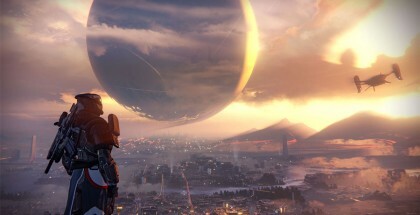 The good news, if there is any here, is that the rights to make a film adaptation for this game were sought out right after the initial trailer for the game was released, and not the game itself. The reason this is good news is because the trailer (which never actually takes place in the game itself) was tremendous. Perhaps the folks at Lionsgate assumed that video game trailers were created to somehow tie into the plot of a game, but that simply isn’t the case here. This dramatic, violent, and affecting trailer could certainly inspire a well made zombie flick, but the story of the game itself isn’t going to be much help. If you haven’t seen the original trailer for Dead Island, check it out here. I wish them all the best, but as I pointed out at the beginning of this article, science has told us to beware all zombie films as well as those based on video games. And I believe in science. I don’t know how to feel about this. sure the trailer is great but its just a family getting attacked by zombies in reverse. I green light the coming movie but my hopes are not up. You know, from what I’ve heard of the narrative, Dead Island’s trailer was better than the full game. That said, I agree with Cam – the trailer is impactful but will take a lot of creative additions to turn into a full movie’s plotline.